Located in an attractive and important district, this centre offers furnished and unfurnished offices of various size and spacious meeting rooms, all provided with a full range of services to offer you a professional and efficient working environment. This is a highly adaptable space with conference facilities fitted with Cat6 cabling standard. Close by, there are lots of eateries and shops where you can keep your clients entertained. Close to the airport and well served by public transport, this landmark building enjoys a stunning view over the surrounding mountains. It consists of fully furnished offices, lounge areas, restaurant and parking facilities and provides a full range of services, including dry-cleaning services, gym and disabled facilities. Within the surrounding area, this charming community enjoys tea rooms, sports stadiums, cinemas and many parks and gardens. 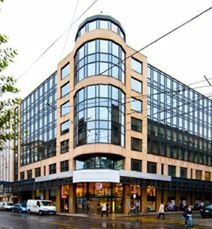 This business centre is well situated in central Geneva and offers fully furnished, bright office spaces. Here, it is possible to take advantage of the spacious meeting rooms which are perfect for networking and offer a 360 view of the Jura mountains. There is also an on-site management team who are available to assist with any queries that may arise, as well as high speed internet, kitchen, parking and reception desk. The centre has good access to copious transport opportunities, a mere four-minute walk from the closest tram station. Shops, restaurants, supermarkets and fitness centres surround the office space, making it a perfect location for setting up your business. This serviced office has been stylishly renovated to provide a variety of large, bright offices, which feature a selection of artworks. This is an easy-to-reach location, just moments from many transportation links such as train and tram lines, so commuting to the space will be easy from any point of the city. Within walking distance, you will be able to reach many cultural attractions, such as museums and art galleries. Fully furnished offices and spacious open-space areas are available to let in this modern building which offers a stunning view over the city. Set in an attractive and serviced business district, next to the airport, this building is just a few minutes’ away from the city centre and benefits from excellent public transport links. Available at flexible rental terms to meet any of your needs, these office spaces are provided with a full range of services: fully equipped meeting rooms, advanced technology solutions, kitchen and parking facilities. Offering a great selection of modern office solutions, this business centre boasts private offices, coworking spaces and virtual office options. Membership includes a range of in-house services and amenities like 24 hour access to the building, high speed internet connection and great telephone connectivity. Public transport links are right on your doorstep including the main train station, buses and trams within walking distance. Located inside Genevas main railway station, this centre offers excellent connectivity as well as many great local amenities. The centre provides a range of office solutions ideal for the business professional on the move. There are meeting rooms, a business lounge and videoconferencing facilities. With 24-hour accessibility, CCTV and round the clock security, you can operate through any hour your please. There is also IT support provided. Situated on a small island in the middle of the Rhone, this business centre occupies seven floors of this low energy consumption building. A range of meeting rooms, breakout areas and a business lounge complement the central Geneva flexible office space. Its comfortable work environment also provides ample opportunities to network with other forward-thinking businesses with ease. In addition, you can also enjoy an abundance of attractions in the surrounding area, such as museums and local cultural hot spots. 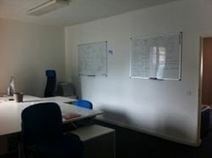 Situated close to the airport, this business centre provides a mix of coworking space and private office space that can be provided fully equipped (or not). There is also a 120m² conference room available. There is 24-hour security, administrative support, IT support and a secretarial team with telephone answering services. Within the immediate area, you can find an events space where you can host conventions, conferences, presentations and training seminars. Strategically located in Geneva's business district, this modern building offers stylish offices and equipped meeting rooms, provided with all the services needed to run a successful business. Surrounded by luxurious hotels and restaurants, shops and bank, they are well connected to the city centre and well served by public transport. Your business will surely benefit from this accommodating centre's reception services. Conveniently situated at the exit of the highway this completed renovated Geneva building provides modern and trendy, ready-to-use serviced office space with floor-to-ceiling windows and a large outdoor terrace. The building is accessible 24/7 through security badges, perfect for those that need to work through late hours and would like peace of mind as they do so. There are shopping centres nearby, where you will be provided with mundane amenities within reach. Found in a renovated building, this unique and dynamic space mixes an innovative work space with a period exterior originally built in 1968. The office spaces are fully furnished and well equipped, designed with your comfort in mind. You can choose from private offices and co-working spaces, and easily book out meeting rooms. With 24 hour building access you can work around the clock and at your own pace. The space offers flexible memberships, from daily passes to serviced offices, passing through shared and dedicated desks, so you can set up your business under the conditions that suit you. Other Amenities include Wi-Fi access, printers, meeting rooms and a well designed lounge in which you can network with likeminded individuals. Here, you will benefit from an esteemed address as well as the great selection of local amenities the area has to offer, such as a shopping mall, restaurants, cafes and great transportation links. This is a highly sought after space owing to its high accessibility and practical solutions. This period building has a strategic location at the heart of Geneva's financial, economic & commercial activity. The office space has been fully renovated and provides natural light on all the five floors. Its iconic presence, with renovated interior, will give your business a strategic and impressive presence. A modern business centre in Geneva, in a bustling commercial district, providing furnished office-spaces available to let on flexible terms. Here, tenants can make use of the high-speed internet, conferencing suites, meeting rooms and 24-hour access. The work-spaces also maintain large amounts of natural light throughout the day. Additionally, the local area is home to a large shopping centre offering over 50 restaurants and shops. Transport links are abundant as well, with local bus and train connections nearby. Full of networking opportunities this flexible office space is situated on one of the most prestigious commercial streets in Geneva. Take advantage of the great facilities like a business lounge and videoconferencing centre, that will allow you to convene international meetings from a comfortable, well designed space. It has been recently refurbished to provide modern office space just a 15-minute drive from Cointrin International Airport. An impressive business centre situated in Meyrin-Geneva, providing furnished office-spaces available to let on flexible terms. Here, tenants can make use of meeting rooms, conferencing, beverages, disabled access and a parking facility. All of this is accessible 24-hours a day, enabling tenants to inject flexibility into their working day. In addition, the local area is well connected with local tram stations and bus routes. Amenities can also be found nearby as well as a notable museum which provides opportunities for interacting with peers. Located in an attractive area in the heart of Geneva, which hosts shops and restaurants, this building in neo-classical style benefits from excellent transport services and easy connections to the airport and the railway station. The building consists of fully furnished offices, lounge areas, restaurant, gym, 24/7 monitoring and disabled facilities. Less than 10 minutes away by foot, there is an events space where you can convene conferences and presentations.